BAL is offering architects a comprehensive family of seminars, all approved by RIBA as contributing to their annual Continual Professional Development (CPD) study requirement. Each 45-minute seminar gives detailed coverage of a particular aspect of tiling. All can be booked at www.bal-adhesives.com/specifiers/cpdSeminars. The seminars all use real projects for illustration of challenges and solutions. There is a detailed consideration of sustainability and environmental factors in each seminar, alongside thorough coverage of all relevant British and European standards. 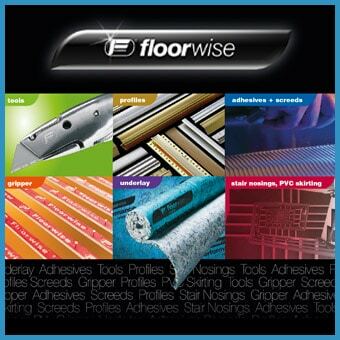 Full guidance is given on best practice throughout, together with comprehensive explanation of recommended product types, including adhesives, grouts, sealants and associated products. ‘Problem solving with tiling solutions’ opens with general considerations for specifying tiling, from substrates to environment. It then considers application-specific challenges, including underfloor heating, wet rooms and tiling onto timber backgrounds. It enables architects to specify with confidence in a variety of common situations. ‘Specifying tiling in heavily trafficked areas’ shows how specifying is influenced by the need for durability. Topics covered include anticipation of substrate movements and the effect of project time constraints. Architects see clear illustration of the differing factors in a range of applications, from shopping malls to railway stations. ‘Specifying tiling for leisure facilities’ gives architects real insight into the challenges faced when tiling anywhere from swimming pools to changing rooms. Close attention is given to requirements common within leisure sector tiling, including the importance of drying time, waterproofing systems and slip resistance. ‘Specifying natural stone’ allows architects to understand the implications of specifying natural materials for tiling. It explains the reasons for varying requirements and examines the differences between stone types from slate to sandstone. Detailed coverage is given of such topics as preparation, protection and aftercare. RIBA requires chartered members to complete at least 35 hours of accredited CPD annually, from both a core curriculum and other relevant subjects. BAL CPD Seminars are all accredited for inclusion by RIBA. Although created specifically for architects, they are also highly relevant for designers, contractors and other specifiers. Further information can be obtained by calling 01782 591100. BAL has remained the UK leader in professional tile adhesives and grouts for over 40 years, renowned for outstanding product quality and technical support. It is acknowledged as setting industry standards in tiler training and invests constantly in it its unbeatable support services. Every product in its comprehensive range is manufactured in Britain and carries a full 25-year guarantee. Superior Finish Contracts and Uzin accomplish a quality flooring finish.